I made aliyah in 2010. Moving overseas is a huge adjustment. Besides integrating into a new culture, learning a new language, finding work, finding schools for the kids, there are million small changes to be made. One of these changes is learning to keep house Israeli style. Ditch your mop and head to your local grocery or hardware store to get the following 10 items. A broom with a rubber head. I purchased my first one a few months ago and am never going back to a traditional broom. This broom finds crumbs where I swear there were none. Plus, there are no synthetic bristles to get crushed or encrusted with hair and dirt. 2. Microfiber cleaning cloths. I use them to wipe down everything. Paper towels and other one-time use items are very expensive, so not only are they durable and washable, I feel good about saving the environment by making less trash. 3. Dusting mitt. I’ve had this one for years. 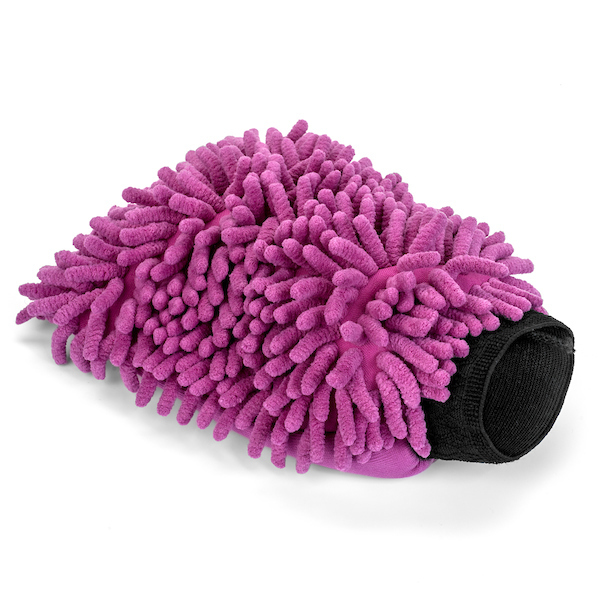 Mine is the FlyLady’s Detail Duster Mitt, but I know you can buy a generic one in the store. 5. Lemon Salt. Use this for hard water stains. Lemon salt/citric acid מלח לימון is the best toilet cleaner I have ever used and I’ll swear by it. It may take a few times depending on how badly stained the toilet may be, but our toilet bowl is WHITE. 7. Squeegie . Just as we pour water on the floor, we pour water on the counters. Then we squeegie it into the sink. Don’t worry…you’ll understand when you get here. 9. Floor rags. Use for sponja or use for spills. The hole in the middle is typically cut to slide over the sponja stick to either dry or buff the floor. 10. Drying rack. It is very expensive to run the dryer, so we dry our things outdoors. The green plaatic thingy with the clips I bought last week to hang small items like socks to better utilize the space on my rack. Great post! It would be helpful to include the words in Hebrew so Olim know what to ask for. Like ‘Magav,’ not ‘sponja stick.’ sponja is the act of mopping the floor and you do it with a magav.